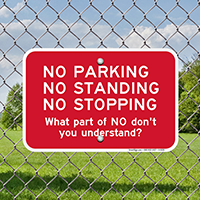 Humorous No Parking Sign: No Parking No Standing No Stopping - What Part Of NO Don't You Understand? Legend No Parking No Standing No Stopping - What Part Of NO Don't You Understand? 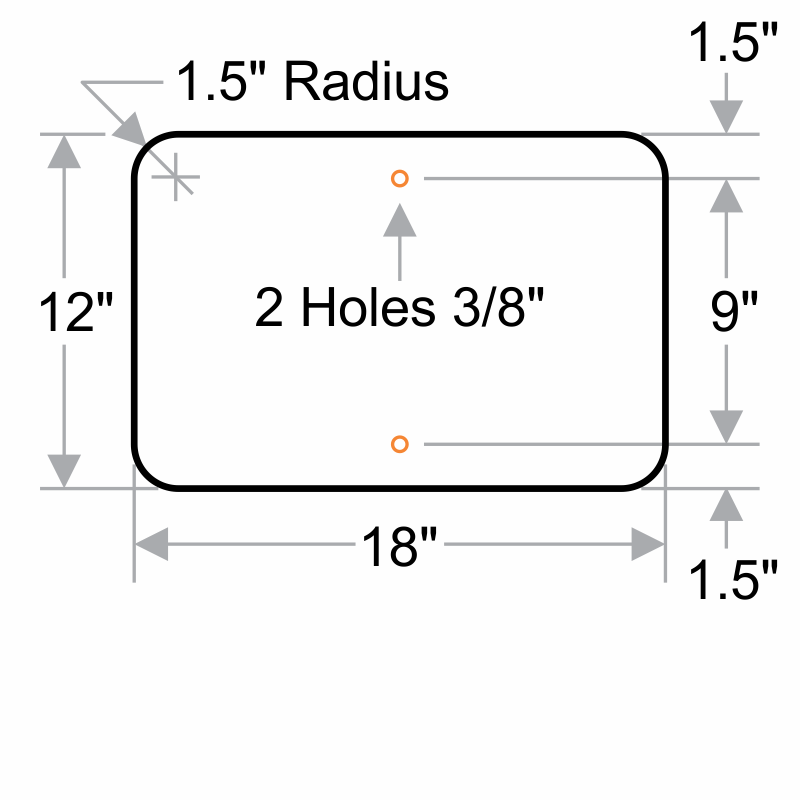 Sometimes a big bold NO can make all the difference in your sign. 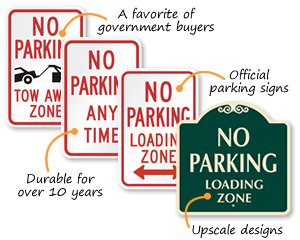 Install our No Parking Sign to show that you will not have any unwanted vehicles parked in your property. 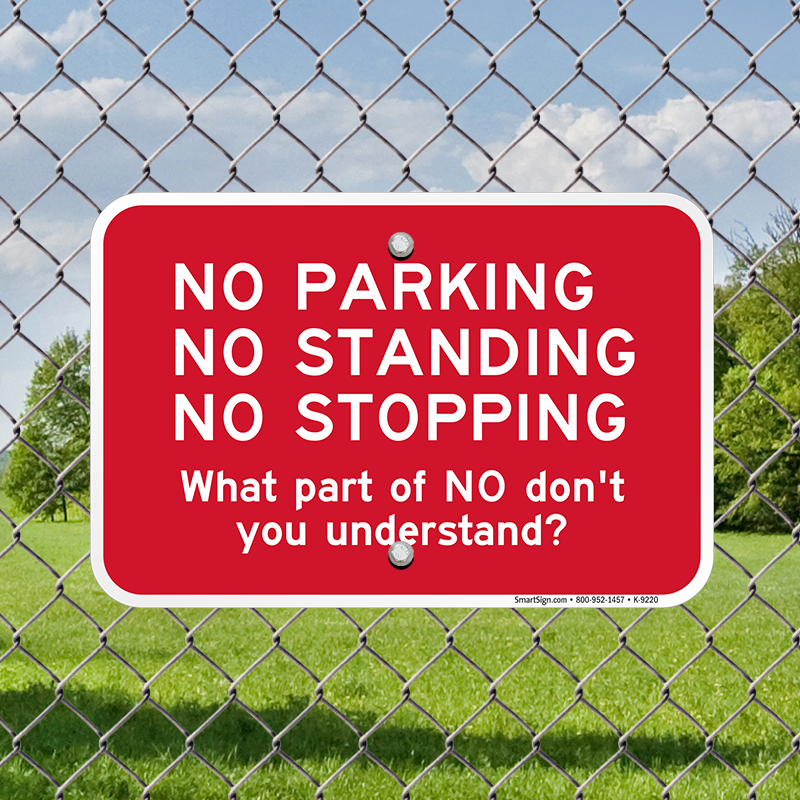 • This humorous sign will clearly tell your audience that No, in fact means No! 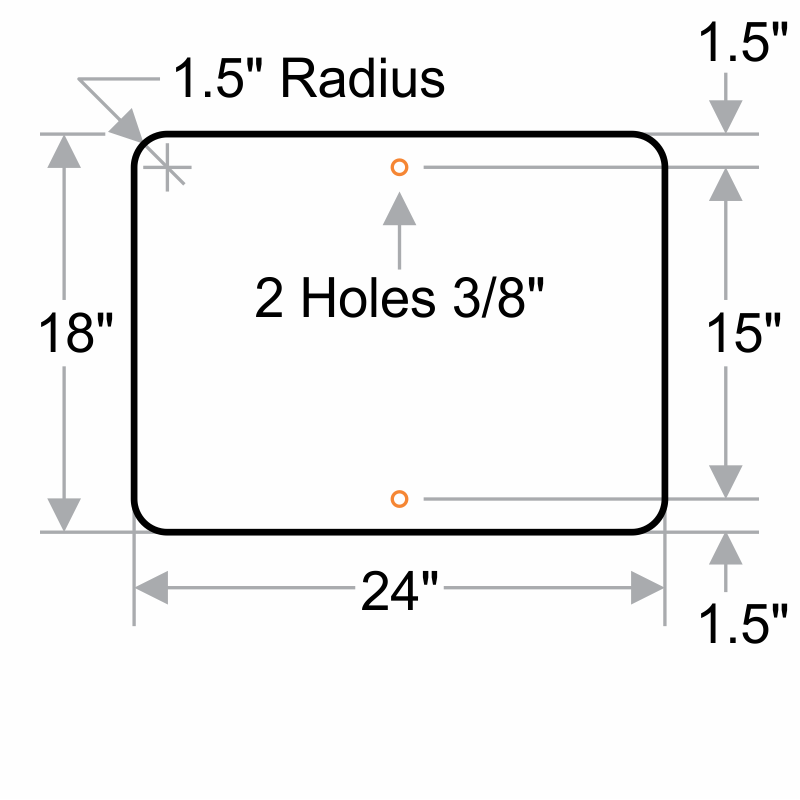 • Sign comes with two pre-drilled holes for you to easily install your sign.